2019 Huntsville Mom Prom Tickets will go on sale February 1st! Your ticket includes access to our red-carpet, photo booth, silent auction, dance floor, a chance to win prizes, non-alcoholic beverages, hors d’oeuvres, and dessert bar. A cash bar will also be available at the event and our guests 21 years and up will receive one complimentary drink ticket. Invite all of your friends to enjoy this ladies only night out for a worthy cause. **Please allow 24 hours to receive your e-mail confirmation. Please note a $1.00 convenience fee will be added on to all tickets purchased online. Thank you for your recent Huntsville Mom Prom Ticket purchase. We ask that you print out this email or have your e-ticket available to scan and bring it to the registration table the night of the event. If you have purchased more than one ticket, please accompany any individuals possessing tickets with your name on them to the registration table on Mom Prom night. Each guest must also present a driver’s license or other state issued ID, if requested my Mom Prom registration members. Due to the fundraising nature of this event, all purchases are final. Refunds are not available for tickets, silent auction items, or any other purchases affiliated with Huntsville Mom Prom. If you bid on silent auction items at Huntsville Mom Prom, you are agreeing to pay the winning bid amount at the end of the evening should you have the highest bid. A member of the Huntsville Mom Prom Silent Auction committee will contact you via the mobile phone number you provide upon registration. When you are notified by text message, please proceed to checkout. You may pay for the items you have won either by cash, credit/debit card, or PayPal. After we receive your payment, we will assist you in retrieving your items. If you are unable to stay the entire evening, please leave a notice with the registration table if you currently have an open bid. By attending Huntsville Mom Prom, you consent to being photographed. Photos will be taken along the red-carpet, photo booth, and throughout the event. Event organizers and photographers retain the right to use these photos for event promotional purposes and share on social media. Your name will not be used with your picture unless additional consent is obtained. ICAN of Huntsville, Huntsville Mom Prom, Jackson Center and sponsors thereof are not responsible for accidents, injuries or loss of property during travel to or from Huntsville Mom Prom or during the event. Any accidents or injuries occurring during the event must be reported to Huntsville Mom Prom Committee Chairs or Jackson Center Staff. 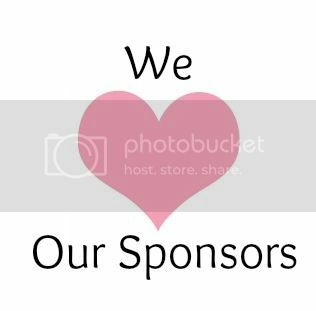 Thank you for supporting Huntsville Mom Prom and ICAN of Huntsville.